Richard B. Blair - Mediator & Arbitrator based in Poland, Ohio. If you’d like a list of available dates for Richard Blair, please submit a request below. Rick Blair was the head of his firm’s civil litigation team for a number of years handling personal injury negligence law and insurance law. He currently serves as the Mediator for the Mahoning County Common Pleas Court. He is also involved with both private mediation and private arbitration in counties outside Mahoning. 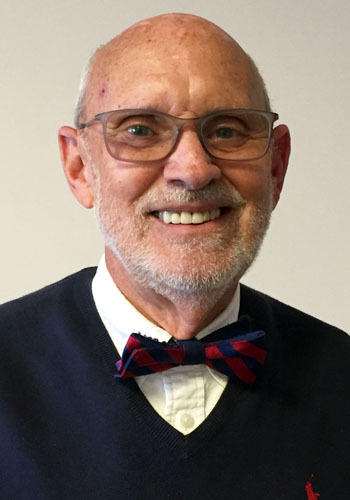 Rick is a 1967 graduate of Franklin & Marshall College with a degree in government, and received his Juris Doctorate at Ohio Northern University in 1970. Rick is a former Trustee of the Mahoning County Bar Association, having served on the Grievance Committee and is currently active on the Lawyers Assistance Committee. Rick is a former member of the Board of Education of Eagle Heights Academy and was a Trustee of the school. He is President of Warriors, Inc. a non-profit Corporation formed to promote racial and denominational reconciliation in the City of Youngstown. He is also a member of the Board of Hope for Renewal an organization formed to work for the renewal of the City of Youngstown. Rick is the teaching director of an evening class of Community Bible Study and an active member and Elder of The Tabernacle Evangelical Presbyterian Church.